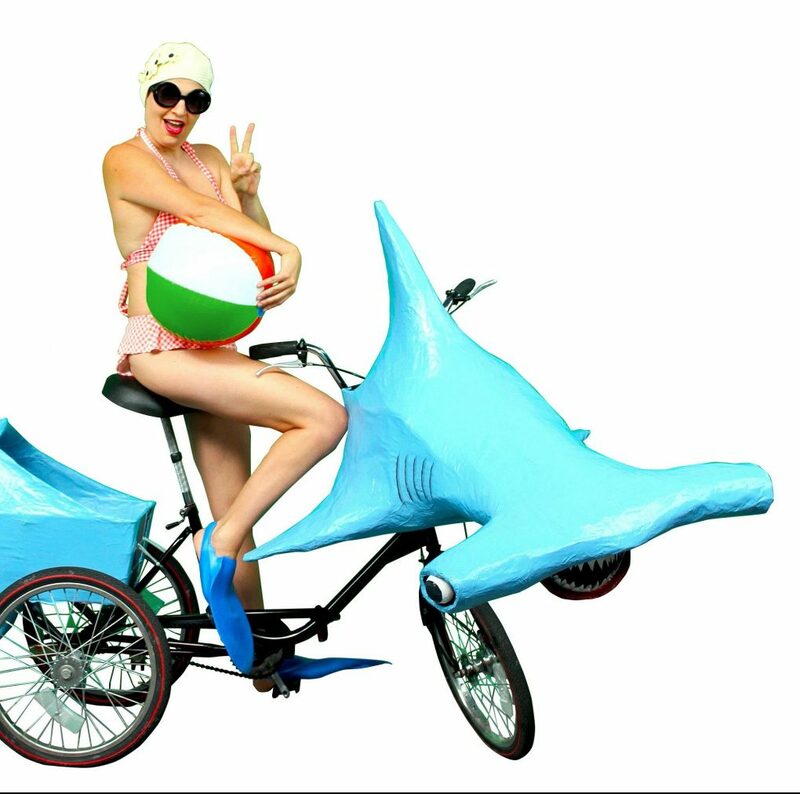 Hammerhead Art Bike Biography: Pontchartrain the hammerhead was named after Lake Pontchartrain, a large brackish estuary that borders New Orleans and often hosts a lost shark. The Lake was named after Louis Phelypeaux, comte de Pontchartrain a French politician and Chancellor of France. Artist and founder of the Krewe of Kolossos, Katrina Brees, chose to depict the hammerhead to raise awareness for the endangered species. The krewe has been inspired to create a “bike zoo” or Nola’s Arc to expose parade goers to the majesty of animals without exploiting actual animals. The krewe has recently begun exclusively creating threatened and endangered species. The Krewe of Kolossos is dedicated to creating trends in environmental and sustainable art and culture. This hammerhead was created using 100% found, recycled or post consumer materials including tennis balls (eyes), over 20 newspapers, recycled paint from the Green Project, a broken metal tripod, milk crate, broken closet racks and more. Kolossos THANK YOU to the Awesome Foundation for being so awesome and funding this kinetic sculpture art bike. Kolossos THANK YOU to the Krewe of A.W.E. for their support of endangered species and funding the work of environmental artists. Kolossos THANK YOU to artist Sophie Radl for her creative contributions to this art bike. Pontchartrain the Hammerhead Shark Art bike by artist Katrina Brees and the Krewe of Kolossos. 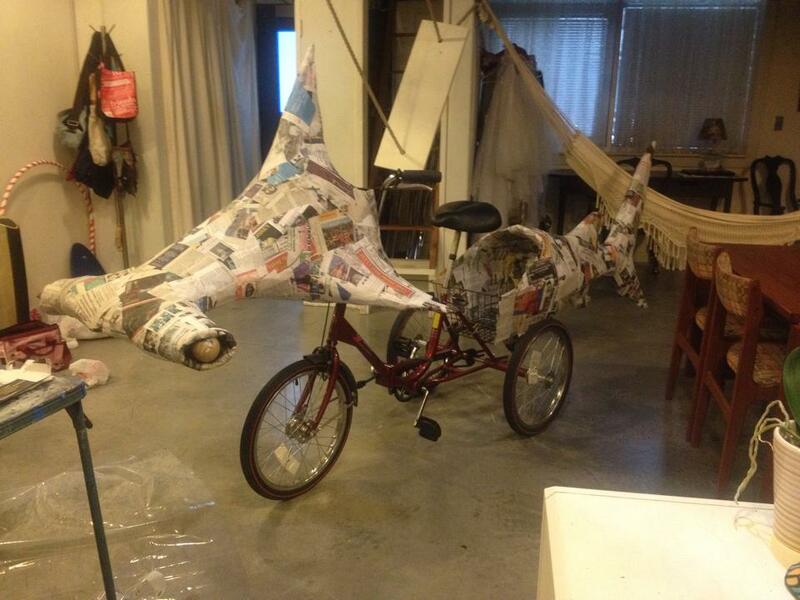 Papier Mache enables the Krewe of Kolossos to bring their animal art bike floats and Mardi Gras props to life.